John Stamos, the actor mostly known for his role as Uncle Jesse on televisions’ Full House, was arrested in Beverly Hills for DUI on June 12. According to reports, police began receiving phone calls that Friday evening reporting that a driver was possibly operating their vehicle while intoxicated. Beverly Hills police officers responded and initiated a stop on the driver, who turned out to be Stamos. The 51-year-old actor was transported to a hospital for observation due to a possible medical condition. 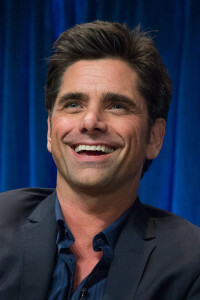 After medical staff determined Stamos was not suffering with a medical condition but was under the influence of alcohol, the actor was then arrested for DUI. Stamos was issued a citation and subsequently released into the hospital’s custody. He will answer to his charges on September 11 of this year. If you have been arrested for DUI in the Tampa Bay area or elsewhere in Florida, you need an experienced DUI Defense Lawyer on your side. Our Florida DUI Defense Lawyers at Whittel & Melton are quite familiar with the local court system, and will work tirelessly to protect your rights and freedom. Do not face the judge alone, call us today at 866-608-5529 or contact us online.